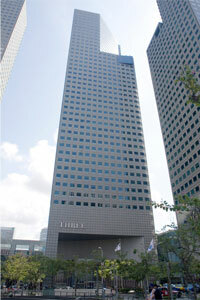 The head office of Koyo Radiator (KR) is located in Nagoya City. 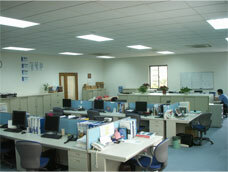 This office shown in a photo has only two departments- Accounting and Human Resources. 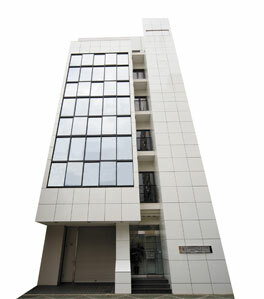 KR has three factories and seven sales branches in Japan: Sapporo, Sendai, Tokyo, Nagoya, Osaka, Fukuoka, and Okinawa. Year 2006 was the 50th anniversary for KR after having served the best quality radiator in this market. As Koyorad's first overseas sales function, Koyo Cooling Systems, Inc.(KCS) has fully contributed to its distribution in the biggest market of the world. Based in California and New Jersey, serving all the customers from North to South America. Koyorad Racing Dept. is closed to the general public and should be contacted by email. Having newly established in Singapore, where is a hub to the world, Koyo International Operations Pte Ltd (KIO) is dedicated in providing high quality service and radiators worldwide. As a sales representative office, we provide service and tend to the needs for all customers throughout the globe. Ensuring the good sales service rendered, we continue to do our utmost best to service all our customers. Feel free to contact us, all inquiries are welcome. ·Business: Sales Office for distribution of radiators worldwide. Koyorad China factory commenced operations at the end of 2006 and is producing Koyo OE Aftermarket plastic/aluminum radiators with about 200 employees. Aside from current production for export business, our China factory started sale activity to Chinese domestic market since 2008. Furthermore, construction of the new R&D facility soon to be completed which is dedicated for product designing and plates tooling at the initial stage. Our Chinese factory is to play a key role in production, product development, and to act as a platform for Chinese domestic market sales. ·Exported to: Mainly to U.S.A. and Japanese Market. 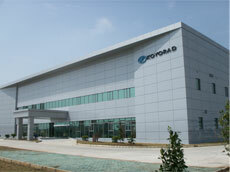 Koyorad's first overseas factory took a key role in Koyorad’s success in global markets. Owing to enthusiastic, highly productive, and quality oriented workforce, the Koyo Indonesia factory is producing Koyo OE Aftermarket Radiators and is the only factory producing Koyorad All Aluminum Racing radiators with approximately 1,200 employees. Koyorad brand is now recognized as a World Class High Quality brand around the globe.